Beauty Collagen Powder is a delicious addition to your daily beauty routine – it works to support beauty from the inside out! 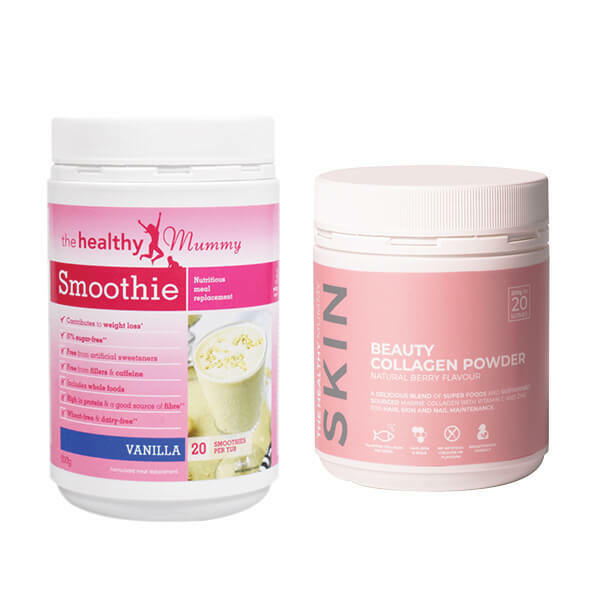 The powder contains zinc and vitamin C which assists with the maintenance of healthy hair, skin and nails. 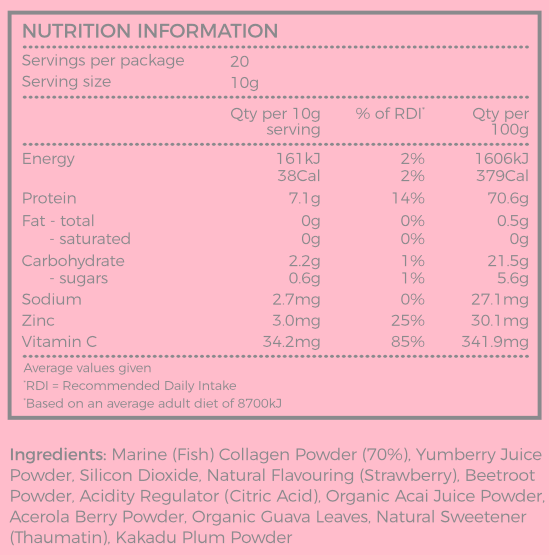 Beauty Collagen Powder also contains sustainably sourced marine collagen, protein and iron. Mix 10g (2 teaspoons) in water or juice once daily. Alternatively, blend into a Healthy Mummy Smoothie. Collagen is an essential structure of our connective tissues. We make collagen ourselves, but as we age we need a bit of a boost! Most of us don’t eat a nose to tail diet the way our ancestors did, so we are missing out on some awesome dietary collagen. Beauty Collagen is a delicious berry flavoured powder that can be used in cold drinks and used in recipes like chia pudding or bliss balls. Think beauty from the inside out! 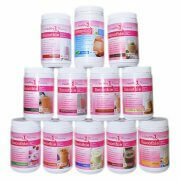 The Beauty Collagen Powder can support our skin integrity, balance our complexions and strengthen our hair and nails. It’s multiple uses make it a fantastic supplement to our day. Afterpay available so secure yours now!